This exchange is an excellent example of political misdirection. “Meet the Press” host Chuck Todd asked the former vice president about why the United States prosecuted Japanese soldiers for waterboarding, and Cheney dismissed the question as “a cheap shot” and not worthy of comparison. The Japanese, he said, were guilty of horrific crimes in World War II that led to mass deaths. But note that Todd’s question is about prosecutions — not executions. And therein lies a difference. At the International Military Tribunal for the Far East (IMTFE), which lasted from April 29, 1946 to Nov. 12, 1948, there were indeed Japanese war criminals who were tried and ultimately executed for some of the events mentioned by Cheney. Akira Muto and Iwane Matsui commanded troops that commited atrocities at Nanking, including the rapes of 20,000 women and the slaughter of 300,000 people; foreign minister Koki Hirota was also held responsible for being “well informed about the massacre.” Heitaro Kimura forced prisoners of war to do extremely hazardous work, including the construction of a railway between Burma and what is now Thailand. Specification 1: That in or about July or August, 1943, the accused Yukio Asano, did willfully and unlawfully, brutally mistreat and torture Morris O. Killough, an American Prisoner of War, by beating and kicking him, by fastening him on a stretcher and pouring water up his nostrils. Specification 2: That on or about 15 May, 1944, at Fukoka Prisoner of War Branch Camp Number 3, Kyushu, Japan, the accused Yukio Asano, did, willfully and unlawfully, brutally mistreat and torture Thomas B. Armitage, William O. Cash and Munroe Dave Woodall, American Prisoners of War, by beating and kicking them, by forcing water into their mouths and noses, and by pressing lighted cigarettes against their bodies. Specification 5. That between 1 April, 1943 and 31 December, 1943, the accused Yukio Asano, did, willfully and unlawfully, brutally mistreat and torture John Henry Burton, an American Prisoner of War, by beating him, and by fastening him head downward on a stretcher and forcing water into his nose. Asanao was sentenced to 15 years confinement at hard labor. First Lt. Seitara Hata, Sgt. Major Takeo Kita and Sgt. Hideji Nakamura faced similar charges. The Japanese version, as practiced in World War II, appears harsher than the rules under which Americans were supposed to operate after the Sept. 11 attacks; a cloth was supposed to be used, but the Senate Intelligence Committee report details at least one case where water appears to have been poured directly on a detainee’s face. Water torture was not the only charge in the Japanese trials — and no one has accused U.S. personnel of using burning cigarettes — but in these cases it often was a key charge and clearly played a role in the sentences. Thus Cheney is simply wrong when he claims Japanese soldiers were not tried for waterboarding. I only looked at cases which specified torture and where the defendant was convicted. In order to be sure the court’s conviction was for water based interrogation, I eliminated the “burning cigarette cases.” There were numerous cases where I was quite convinced the conviction was for water based interrogation, but because there was any other evidence I deleted them from the final product. Cheney dismissed too cavalierly Todd’s question about the prosecution of Japanese soldiers for waterboarding. One could quibble about whether these practices were exactly like the techniques practiced by CIA interrogators. But Todd raised a legitimate question and, contrary to Cheney’s assertion, waterboarding was an important charge in a number of the lesser-profile cases. 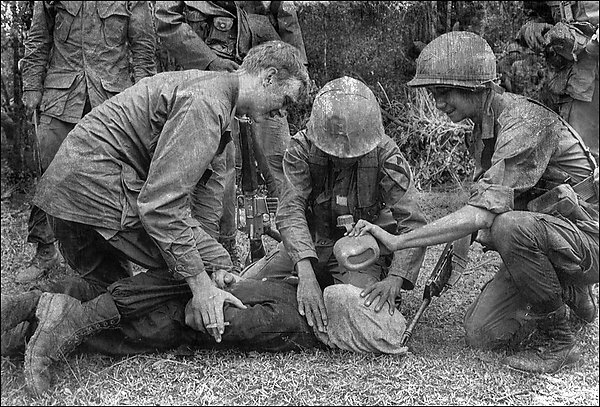 Moreover, waterboarding also resulted in at least one court martial during the Vietnam War. In other words, such techniques in different circumstances have been the subject of U.S. military prosecutions in the past. Thus the former vice president earns Three Pinocchios.